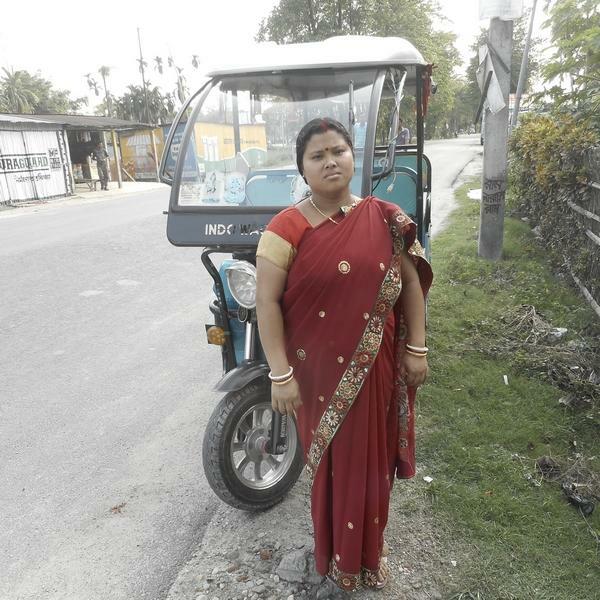 A loan of $625 helped to expand transportation business by repairing the toto rickshaw. Dipika 28-years-old is residing in the Jalpaiguri district of West Bengal. She wants to expand her husband's small transportation business of pulling toto rickshaw. Toto rickshaw is a kind of three-wheeled battery operated rickshaw widely used in rural West Bengal. She wants to repair the rickshaw by changing the battery. She has a household size of 3 and a monthly income of INR 9,000. It helps women in financially underserved districts in India maintain and grow their businesses. This loan helps women living in financially underserved states in northeast India. Rural areas in India severely lack the infrastructure and resources needed to support entreprenurship. Milaap aims to extend financial services and credit to women, who are traditionally excluded from financing. By supporting this loan, you're empowering female entrepreneurs to maintain their business in underdeveloped communities.